Cyber Monday 2016 – Go Ape With Our Black Friday Sale!!! Follow the Great Ape of Savings to our biggest sale of the year: Green Friday/Cyber Monday! This year’s Green Friday sale is our best yet and we’ve got the giant inflatable gorilla to prove it. Check out these limited time specials, combos and discounts on many of the greatest and most popular vaporizers available! The Odin portable by Top Bond is a convection and conduction hybrid vaporizer that offers the benefits of both heating styles in a durable and pocket friendly form. Convection heating jets deliver top notch flavor and efficiency while the conductive heating chamber maintains impressive battery life. The Odin’s outer housing is crafted from heavy duty aluminum and the side fins disperse heat away from the internals. The Odin heats up in about 40 seconds, temperature selection ranges from 176°F up to 446°F and the unit vibrates to notify you when the set temperature is reached. The Odin’s mouthpiece is made of borosilicate glass and stores safely inside the unit for maximum portability. Green Friday coupon code ODIN drops 25% off the price of the Odin vaporizer while we still have stock! The Swift Pro is Flowermate’s newest release and one of the only true 100% convection vaporizers available. The Swift Pro’s convective heating element reaches vaping temperature in half a minute and applies heated air to your material only during inhalation for maximum efficiency. Convection heating is known for maintaining flavor purity and the Swift Pro delivers some of the best tasting vapor of any unit we’ve tried. Another cool feature is the modular loading chamber; the included glass or wood chamber inserts can be switched in moments to match personal preference. Get better acquainted with the Swift Pro by checking out our Blog posts here and here. We’ve got 100% convection for 35% off on Green Friday by using coupon code SW35 on your new Flowermate Swift Pro! An incredibly pocket friendly design in both form and cost, the V5.0S is a proven performer that helped build Flowermate’s reputation for great value in the vapor community. The V5.0S‘ build is slim, compact and constructed from high-grade aluminum that was recently upgraded to an even thicker version for enhanced durability. The V5.0S‘ ceramic chamber features diffused airflow for improved extraction efficiency and heats up in less than half a minute, making it one of the fastest portables available. We’ve had the V5.0S on sale for $79 using coupon code FM5S and during our Angry Shouting Flowermate Sale we released the FM420 code to get a V5.0S paired with a water pipe adapter for $79. We’re going a step further for Green Friday with coupon code FM69 to drop the Flowermate V5.0S down to $69! Big performance and a small price, the X-MAX V2 Pro is one of the best values in vaping! The X-MAX is a pocket portable vaporizer with a ceramic glass heating chamber for great flavor and impressive clouds. Most vape batteries are fixed in place and unable to be removed but the X-MAX’s rechargeable 18650 battery can be switched out effortlessly; an uncommon and underrated feature. We’ve been running a $59 sale on the X-MAX by using coupon code XM and we’re offering an even sweeter deal for Green Friday: enter coupon code XMWPA at checkout for a new X-MAX V2 Pro at $59 along with a free water pipe adapter! One of the most anticipated designs of the year, the Adventurer by Focus is a unique new ultra-portable vaporizer loaded with clever and convenient features! The most unique aspect of the Adventurer is the integrated bubbler mouthpiece that provides smooth, water filtered vapor without the bulk or hassle of a traditional water pipe or full sized bubbler – when you’re finished vaping the bubbler mouthpiece stores inside the unit and you’re good to go. The Adventurer’s large ceramic heating chamber is located on the opposite side of the mouthpiece for an extended air path that cools vapor before passing through the water filtration mouthpiece, resulting in maximum smoothness even at high temperatures. 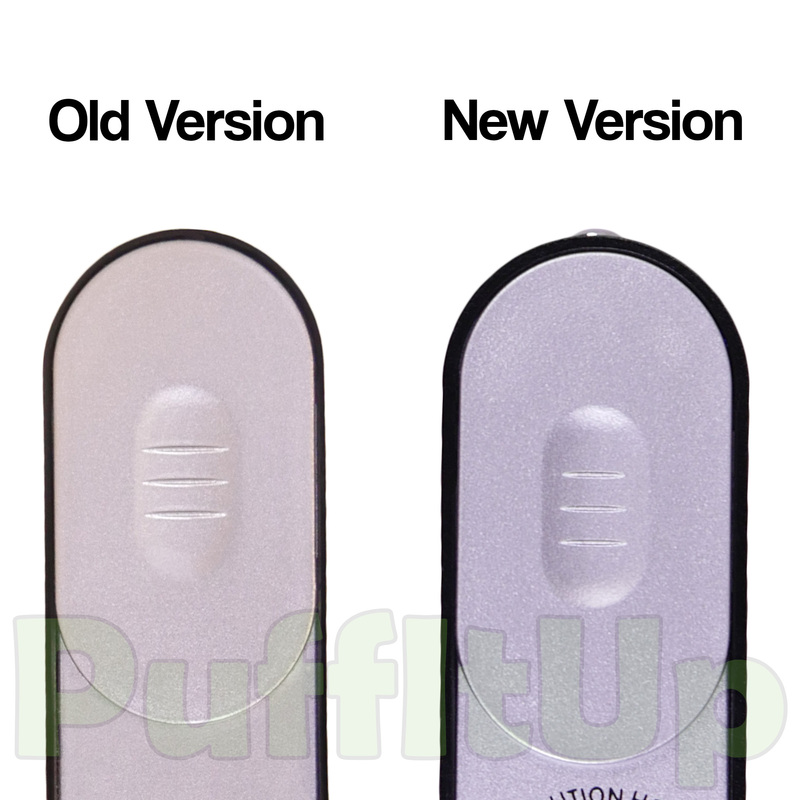 Another useful feature is the easily switchable high capacity rechargeable 18650 battery. We’ve been following the Adventurer closely even before it was released and you can check out our preview here. For a very limited time we’re dropping a full 25% off the Adventurer with code FCA – snag your new Focus Adventurer before the special ends! If the vape or accessory you have your eye on isn’t featured during our Green Friday special don’t worry, coupon code PUFFEDUP is good for 15% off nearly everything we carry. Looking for a specific item that isn’t mentioned in this sale? Contact Us and we will be happy to give you the best possible price. Stock is moving quickly and we can’t promise any of these deals will still be available tomorrow – don’t miss your chance. Keep an eye on our Blog, Instagram and Reddit pages for last minute Green Friday sales and additional specials; we’ve got even more planned! No comments on Cyber Monday 2016 – Go Ape With Our Black Friday Sale!! !